The first anniversary of the introduction of VAT in the UAE was 1 January 2019 and, where applicable, many businesses have little time left before the end of their first tax year to carry out any required end-of-year input tax adjustments. Partial exempt taxpayers (i.e., taxpayers that carry out both taxable and exempt supplies or non-economic activities, such as banks, holding companies, life and non-life insurance providers, charities and real estate developers) are required to review and analyze their input tax recovered over the course of the year. In certain cases, the end-of-year adjustments may result in a change to the amount of VAT that can be recovered for the year. Below are a few tips and reminders for you to consider to make your end-of-year adjustment process smooth and less taxing: Where the tax period ends on 31 March and quarterly thereafter, the tax year ends on 31 March. The tax year may differ from the calendar year and depends on the taxpayer's tax period. For a taxpayer that submits VAT returns on a monthly basis, the tax year ends on the last day of the calendar year. After carrying out the annual adjustment calculation on the basis of the standard method, the taxpayer may also be required to make an adjustment to the input tax recovered on the basis of actual use (i.e., a basis that is fair and reasonable). What is fair and reasonable will depend on the type of expense in respect of which the input tax has been incurred, and the onward supplies that these expenses can be attributed to. 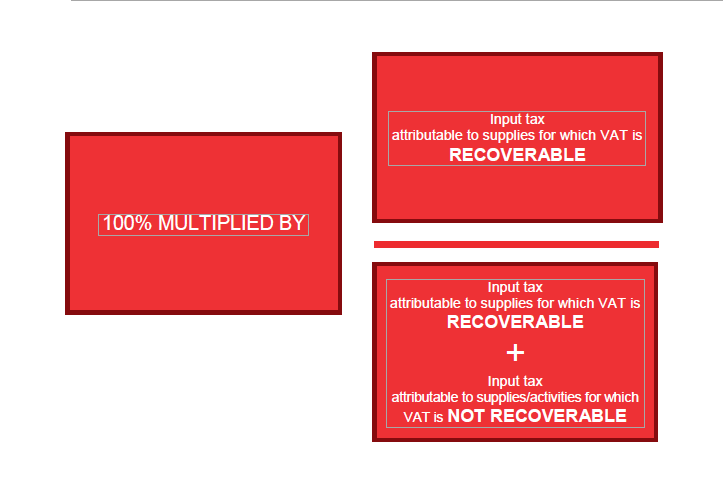 Alternative proxies to determine fair and reasonable input tax recovery may include transaction count or turnover value. Following the application of the actual use adjustment, the taxpayer is required to adjust the input tax incurred on the acquisition or construction of the capital asset in the first tax year, on the basis of actual use. From the second tax year onwards, the taxpayer needs to compare the input tax recovered in the first tax year with the input tax recoverable in the subsequent years, on the basis of the use of the capital asset in the current tax year. Thus, the VAT incurred in the first tax year is revised each tax year after the first year (i.e., total of 9 if the period is 10 years, or total of 4 if the period if 5 years) following this methodology.